Just wanted to let you know that I am delighted with the assistance (phone), service (measure and installation) and price I received finally getting a pool cover for my pool in Duncraig. 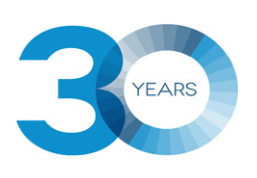 Elite Triple Cell® has evolved over a ‘25 year’ span and it has now become a reality… thanks to Elite’s vision and foresight in the continuous development and delivery of the world’s best performing pool cover available today. 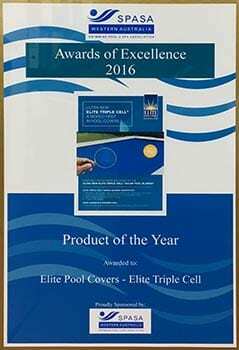 Elite Triple Cell® is the first purposed designed and manufactured pool blanket… It breaks away from the traditional ‘bubble wrap’ style and its problems. Elite Triple Cell® is a world’s first’ and it’s only available from Elite! The Elite Triple Cell® is a solar cell that acts as a collector of energy. This energy is transformed to heat the water better. Elite Triple Cell® provides better all-round insulating performance due to its greater still “air zone”. Its unique cell design also offers more protection from chlorine attack and harmful UV rays. 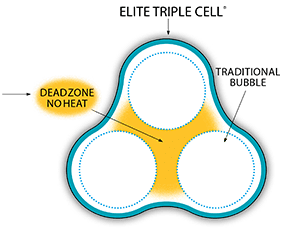 Elite Triple Cell® is thicker… UP TO 60% thicker ON THE BASE The manufacturing process of Triple Cell® ensures a more uniform thickness at the side, top and base of the cell… Unlike bubble, where the thickness can be inconsistent with less life expectancy. Elite Triple Cell® will have a long happy life. Elite Triple Cell® lays flatter on the pool surface and rolls up easier over header courses plus automatic cleaners work better. * For further measurement information, please contact Elite Pool Covers. 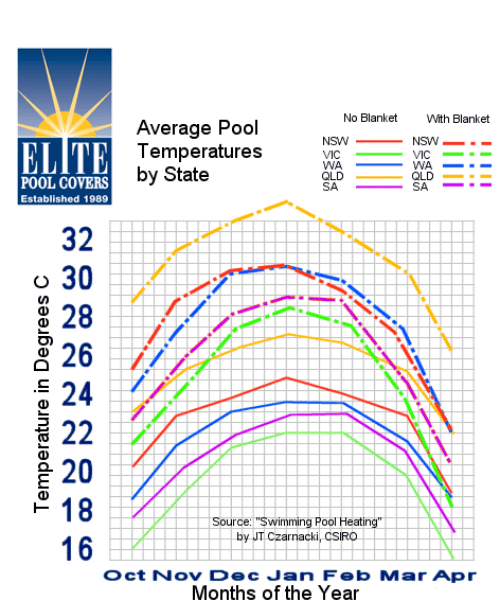 How much warmer will my pool get with an Elite Pool Blanket?